Find out more information about our Bali Post Program. WFC Japan introduces new Chapter leader, Mr. Koji Terai, President of The All Japan Florists Association. 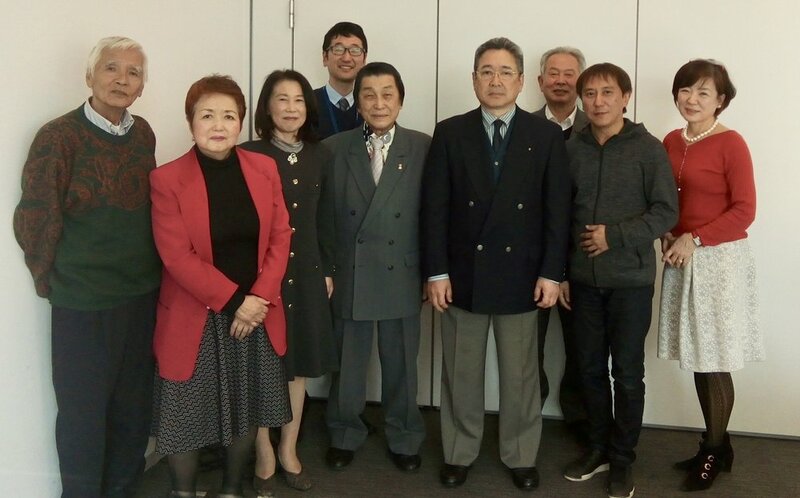 Mr. Wada retires after many years of service to WFC and the florist of Japan. Thank you Mr. Wada and Welcome Mr. Terai. WFC welcomes our newest chapter, WFC Johor Bahru, Malaysia. Please welcome all new members and the President of WFC Johor Bahru, Dato' Sri Dato' Jenny Cheng. WFC recently held its 34th annual summit, "Fragrance Embrace", and it was a WFC Summit unlike any other. This year the WFC Guangdong Chapter of China played host, and they had the unique opportunity to collaborate with the Chinese government while organizing the Summit. The government saw value in everything the WFC stands for - bringing international people together in the name of World Peace through the beauty of flowers- and they took it as an opportunity to help brand their city as the "Flower City of China". This led the WFC Summit events to be spread around the city, which allowed Summit-goers to see a variety of areas and buildings in Guangzhou while simultaneously allowing the local Chinese citizens to be able to view the beautiful floral installations that the WFC created. The summit ran for four days with the majority of the events taking place in close proximity to the gorgeous Ritz Carlton Hotel of Guangzhou. The first day had local Chinese florists creating designs outside the Children's Experience Museum. There was also a trip to the local Guangzhou flower market- one of the largest flower markets in the world- where WFC participants were able to see the market first-hand, as well as buy flowers and accessories from the vendors. Many designers who participated in the "My Country Design" event used the opportunity to purchase some last-minute floral additions for their works, which were held both inside, on stage, as well as outside on large platforms. There were many moments of "lost in translation" during the summit, but those endearing moments are part of the fun of cross-cultural communication, and everyone was in good spirits reuniting with one another as well as meeting new members. Flowers often worked to fill in the blanks when words fell short. The first night's welcome party was an event to remember, as most attendees had their first experience with authentic Chinese cuisine. The food was served in a distinct family-style setting, where nearly a dozen rounds of dishes were brought out one after another and placed on a round, mobile "lazy susan" contraption which was in the centre of the table and was rotated around from person to person with a simple push. For many people it was a game of "guess what", and it definitely had most people trying gourmet delicacies outside of their comfort zone. The Chinese government sponsored the dinner, and various speeches were made by host, Miss Lizzie Su and WFC Chairman, Mr. Lynn Hoffman. Between the welcome dinner and 7am the following day, the outdoor platform designs for "My Country Design" were requested to be completed, so after dinner many designers made their way over to the Guangzhou Opera House to start constructing their outdoor platform design. Thepark in between the Ritz and the Opera House was lit up spectacularly at night, with all the amazing architectural buildings being brought to life in a whole new way with lights by night. The temperature was also very comfortable in comparison to the intense heat of the days. Designers delighted in this and many were seen crafting their works until well after midnight. The area was abuzz with positive creativity as people caught up with one another while simultaneously designing their own piece. The whole outdoor area had been transformed over a few days, and flowers were everywhere by the time of the opening ceremony. Potted plants lined all walkways, creating rivers of flowers, and there were also beautiful green archways which led to the outdoor "My Country Design" space. The Opera House had a stunning bi-level design, and floral masterpieces galore were spread about both the upper and the lower levels, mixed in among the existing sculpture work. A city tour was also held on this first official day, and participants bussed around the city to a historical museum which gave insight into Chinese culture and heritage. The day wrapped up with a very special visit to the famous Canton Tower for a lighting ceremony, followed by a river boat cruise dinner along the Pearl River. Both events were hosted by the government, and recognized the World Flower Council, with their spin on the event being "World Cities Day" which brings citizens from around the world together in the name of flowers. There was a special video on all that the city of Guangzhou has to offer and a children's choir sang beautifully before there was an elaborate lighting of the tower, which read the World Flower Council's name high in the sky. The riverboat cruise was another interesting experience, as participants floated along the river, observing the bright city skyline from the water, and listened to local music while feasting on Chinese food, this time served buffet style. The World Flower Council Summit always has several design workshops as part of the mission to share education worldwide, and this year these classes were held off the summit premises at Miss Lizzie Su's Su Li Si Floral Design academy. The building was super chic, and the two classes were held back to back and translated in both Chinese and English, as both the presenters, Christopher Lim and Bernard Low spoke Chinese. The courses taught how to make different armatures from repurposed materials- one from metal posts that come with orchids, and another from box-wrap which had been curled into circles to form a bouquet holder. Both classes taught students to think creatively with materials. Floral design demonstrations started off that afternoon, beginning with 5 rounds of 5 designers each coming on stage to create a design which represented the country they were from. This year's Summit brought designers from over 30 countries together in the name of World Peace through Flowers, and many beautiful and creative works graced the stage. Designers, Poo Chesdmethee and Cindy Chao took the stage afterwards, and wowed the audience with their separate yet together designs. Poo drew upon inspiration from both Thailand and China to create his pieces. Cindy crafted distinct pieces, and the juxtaposition between her works and materials awed the audience. She also complimented her work with modern floral fashion that came out on models after several of her main stage pieces were complete. Together they made an incredible presentation team. That night there was a wonderful "White Night" celebration in honour of one of WFC's beloved founders, Mr. Dean White. The WFC awarded Dean the "White Hero", and several long-time WFC Members like International Chairman Lynn Hoffman, International Board member Els Hazenberg, and Chairman for the Asia Pacific, Poo Chesdmetheegave speeches about the incredible impact Dean has had on the lives of so many through his stewardship of the World Flower Council. A beautiful slideshow with pictures of highlights from Dean's long and full life was then played. Later an exquisite violinist delighted the crowd, as Russian florist / ballet dancer Boris Menyaylov surprised everyone with an impromptu dance dedicated to Dean. A theatrical group of traditionally dressed Chinese ladies then came out and danced tantalizingly for Dean, as well as the audience. Summit goers danced the night away, and had lots of fun sharing moves on the dance floor with their friends from around the world. The next and final day, there were two rounds of floral demonstrations, each with two different designers onstage at one time. The first round was Kenny Chan of Hong Kong and Anson Low of Singapore. Kenny shared that his background was originally in science and botany, and he expressed how this impacted him to keep his work as organic as possible. Anson was charming as always on stage, and gave translator Damien a run for his money, as he cheerfully chirped out story after story amidst his designs. The next round of designs came from Premysl Hytych of the Czech Republic and Harijanto Setiawan of Singapore. These designers had different styles, with Premysl's being more natural and Harijanto's being more structural and delicate. Both styles were a delight for the audience to observe. It was amazing how both designers unknowingly echoed one another's thoughts, discussing how oftentimes "less is more" and "simple is better". However, they both showed moments of exquisite detail, with Premysl sharing a floral purse accented with pieces of pincushion protea glued onto hundreds of carnations which were strung and elegantly dangling, and Harijanto literally painting gold flakes as a final touch onto one of his designs. The summit came to a close with one last elaborate Gala Dinner event which looked like a woodsy and whimsical floral wonderland. Attendees, adorned in unique wearable floral art pieces, socialized with one another, then entered the ballroom to watch Summit participants receive rewards of recognition. A special moment was when Chairman Lynn Hoffman said a special thanks to Lizzie Su and her team, and then wrapped her in a traditionally made quilt from longtime member, Malcolm Angus of New Zealand. The grand finale consisted of a fabulous floral fashion show, and a last minute surprise for all was an award from Dean White honouring Lynn Hoffman with the WFC Floral Nobel Prize for his long-time service and contribution to WFC. The night came to an end with hugs all around, and exclamations of, "See you next year!" The Guangzhou Summit was an elaborate experience to remember, yet as one summit comes to an end, the planning for the next summit has already begun. 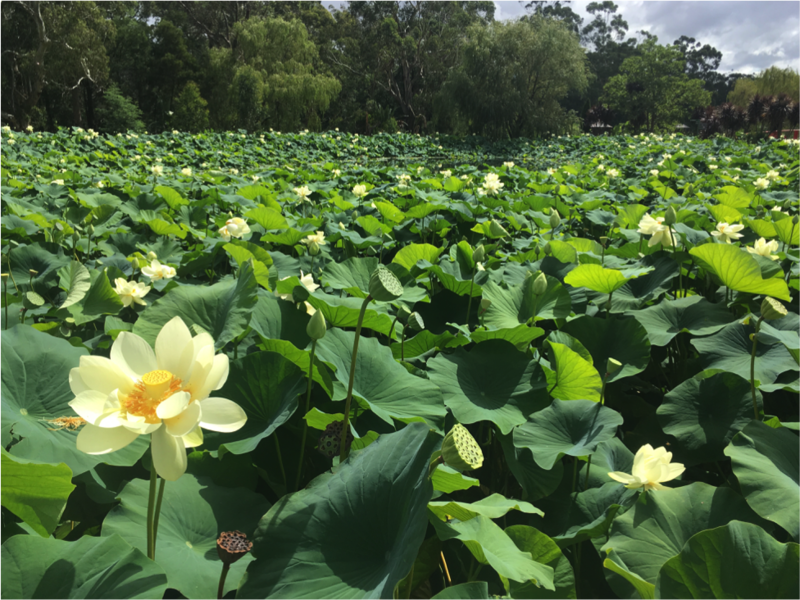 The 35th annual World Flower Council Summit will be held in Western Australia's capital city of Perth, and is sure to be an inspirational delight! Hope to see everyone there in October 2018! The Canadian Student Chapter presented their annual Lunch and Learning Day in April. It was held at Seneca College in Toronto and the students of both the full and part-time floral design programs were invited. The objective of the day is to give the new people who are just finishing their courses and who are ready to enter the floral industry, a more global perspective on the career path they have chosen. WFC is pleased to announce the formation of the Shanghai Chapter of WFC with the joint leaders being “The Twins” Vella Chen and Volla Chen a.k.a Chen Wenrong and Chen Wenxuan of R Society. It promotes an international platform where they can serve and share the essence of flora designs to people around the world. The twins love of flora and botany started from their grandfather, where they gained the fundamentals of flora designs at a young age. Then started travelling to various countries to learn flora design; Singapore, Japan, Korea, France and England, also embracing these country’s culture andhistorical and traditional way of flora design. Flowers serve as an optimal medium to allow the twins to ‘formulate’ both traditional and contemporary flora designs into one; that’s the unique product of R Society, our signature. As R Society has developed the twins have been able to share their unique styling with the public and students alike with students from all parts of China, Singapore, Malaysia, Indonesia and Hong Kong sharing their ideals. We admire our student’s passion to embark on alevel of flora art. The twins say "We are delighted to be asked to be the World Flower Council (WFC) Shanghai Chapter Leaders as we both strongly believe that this will better bring more positive exposure to flora art and most importantly the exchange of different cultures and way of life from different people from different countries, thoughts and insights. WFC was indeed a wonderful international platform for outreach to all. Today WFC has members in 40 over countries and continues to spread peace through flowers by forming lasting relationships around the world. This directive is in parallel with R Society. We will strive to spread love and peace to this part of the world. The yearlong Floral Design course at Seneca College is fast drawing to a close for this yea. With only one more month to the end of term it is hard to imagine how we are going to fit everything in. of course we always do and this year’s student body will certainly rise to the occasion. It has been an extremely driven and enthusiastic class this year, one that we have not seen for a while. It is a very nice mix of young women (all female this year) from across Canada with several “foreign” students mostly from South Korea to add an experience for all. There have been many friendships forged that will last a lifetime despite language and distance. Most of the students wherever they are from are planning to take their new found skills home with them, a few will remain in school for another year or two for other courses in related disciplines like Visual Merchandising or Special Events Management. Some plan to exchange their student visas for work permits with the objective of eventually gaining citizenship to remain in Canada. But for the moment the focus is on finishing the term, completing class projects, studying for final exams, and preparing their designs for the big Year End Show. And of course finding a job and attending interviews. Last week we all took a breather from all the madness for a few hours for the annual student competition followed by the Awards Ceremony. The students receive recognition not only for their skills at the competition but for their yearlong efforts in design, botany, academics and leadership. The World Flower Council generously supports an award for a student who best exemplifies the WFC ideals. They are asked to express their vision of their floral future with those ideals in mind. I have enclosed the winning entry from Robyn Thomas. Robyn is an exceptional young woman from a small town in north western Ontario who is both talented in design and extremely smart (she also won the botany award), a rare mix. Not surprisingly, she has a job waiting for her as soon as she has finished school and it is a pleasure to think that that kind of talent will be available in small rural areas, where it is so desperately needed, and not just confined to the big cities. Have you ever heard of International Women’s Day? It’s celebrated each year on March 8th, and is intended to honor the hardworking women around the world. It originally started in New York back in 1909 as a Socialist political event, and by 1917 it was declared a national holiday in the Soviet Union. It is still quite popular in many Eastern European countries, and is almost a mix between Mother’s Day and Valentine’s Day, with people paying respect to the impactful and beloved female figures of their lives. It is not uncommon for women to receive flowers, have the day off work, and maybe even get treated to breakfast in bed! I’m sure we all have quite a few female role models we can think of who are responsible for making the world we live in a better place. One such person I’d like to highlight is Susan Murethi of the World Flower Council’s Kenyan Chapter. I first met Susan back in 2014 at the WFC Summit in Zagreb, Croatia. I was amazed to hear about how she started a flower farm outside of Nairobi, in Nayahururu, with the intention of creating jobs to keep her local community afloat. Susan was tired of seeing people leave the community because there were no jobs or opportunities. She thought long and hard about what she could do to change this, and came upon the realization that Kenya is a leading exporter in roses. On top of that, she also realized that the climate and the location in Nayahururu were perfect to start up a flower farm. Shortly after, she and her husband created Suera Flowers Limited. For nearly 20 years Suera Flowers Limited has been a successful driver in the community. It provides hundreds of jobs, and has grown to encompass 30 hectares, within which are the neighborhoods of Baraka, Nyota and Heikima, which translate to Blessings, The Star, and Wisdom respectively. The Core Values of Suera speak for themselves, as they are centered around the Home, the Company, the People and their Commitments. Suera is absolutely aligned with taking care of the community, ensuring the happiness of the employees and working topromote the longevity of the business, while at the same time producing high-quality, competitively-priced flowers. As the business and the workforce grew, Susan saw the need to further satisfy and develop the community. She began to construct employee housing, to build a church and a school, and to ensure a hospital was in close proximity to the community. She even included a restaurant and a gas station for good measure. Dozens of employees have given birth in the hospital, and for a time Susan’s own son even worked as a doctor in the hospital, further adding to the “blessings” of the Baraka community. In 2016, the World Flower Council Summit was hosted in Nairobi, Kenya. 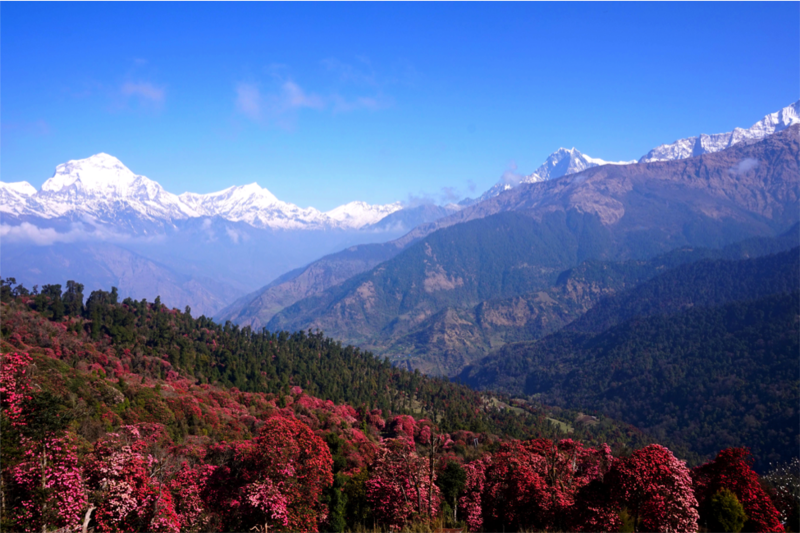 Before the official summit began, many WFC members enjoyed the opportunity to go out and visit Suera Flowers Limited and experience the beauty of Susan’s dream-turned-reality for themselves. Upon visiting the rose farm, it was evident that all employees take great pride in their work, and that they thoroughly love, appreciate and respect Susan for the amazing business-women and leader that she is. Susan’s story is unique, and it serves as a great reminder of the power that lies within a determined woman. If you haven’t already, check out Suera Flowers Limited. Their roses are top notch, and the community behind them blossoms a bit more with each purchase. Also, take the time to surprise a special lady in your life with some flowers on March 8th, and share in the joy of International Women’s Day! WFC’s highest honor, The Floral Laureate, is presented to Mr. Dean White, AAF, AIFD, PFCI, DAFA, WFC Chairman Emeritus, at the closing night Gala, 2016 International Summit, Nairobi, Kenya. The Floral Laureate Award of Distinction, only given to an exemplary person who has dedicated 50 years of his life to the flower industry and is recognized as one of the most eminent donors, contributors and philanthropists in the floral industry. 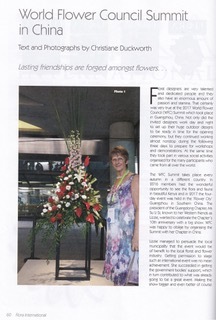 Dean is one of the founding members of World Flower Council and AIFD. He has devoted his life to inspiring florist around the world. WFC honors Dean White for his generous contribution to World Flower Council and betterment of our floral industry.